English translations of seventeen prose poem meditations on love, death, war & liberty. Fine translations by Kates who knew & worked with Rosnay. French poet Jean-Pierre Rosnay (1926 – 2009) was a central figure of the literary & artistic generation of the 1950s: the irreverant, ‘countercultural’, engagé heirs of Éluard & Desnos. Some of his most powerful poems are drawn from his experience as a teenager in the Resistance when he survived arrest by the Gestapo for the attempted assassination of Klaus Barbie. His mission in life was, he said, ‘to make poetry contagious & inevitable’. J.Kates is a poet & literary translator who lives in Fitzwilliam, New Hampshire, USA. 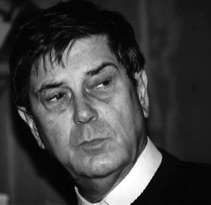 He is the translator of When a Poet Sees a Chestnut Tree (Green Integer Press 2009), the first major collection of Jean-Pierre Rosnay’s poems in English.